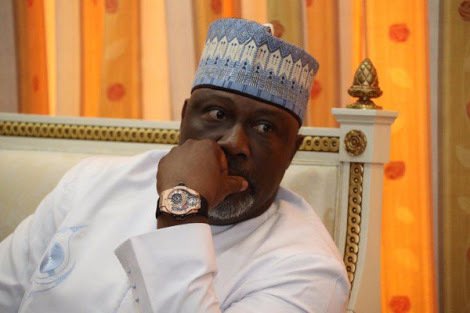 The Senator representing Kogi west constituency, Senator Dino Melaye who was arrested at the Nnamdi Azikiwe International Airport, Abuja on his way out of the country has been released from detention. The Senator was released after he was detained by officials of the immigration service at the Nnamdi Azikiwe International Airport, Abuja on his way to Morocco. He took to his Twitter page to confirm his arrest. The police had on April 3, warned the Senator to appear in court ahead of his arraignment on May 10, 2018. He is to be arraigned on a case of conspiracy and unlawful possession of prohibited firearms already filed before a Federal High Court in Lokoja, Kogi State. Also confirming Melaye’s release is the Senator Representing Kaduna Central District, Senator Shehu Sani who took to his Twitter page to announce the news.